I had a bunch of fruit sitting on the counter and as it was consumed ultimately these were the three pieces left. 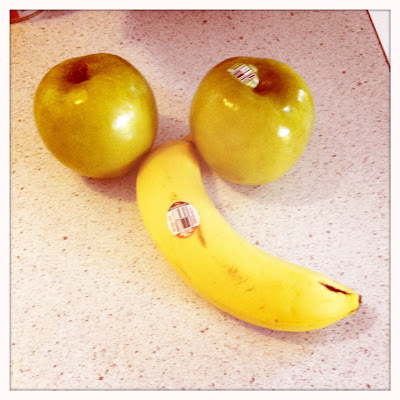 At first I had the apples together and the banana underneath, like a smiley face. Shawn noticed and was like that's cute. Then I got naughty to make it look like, um, well, I think you get it:) I know my bff will appreciate this.